It was truly a cultural exchange. Laura, Marcela and Irina were absolutely lovely. I can’t wait to extend the same hospitality when Laura comes to the States! 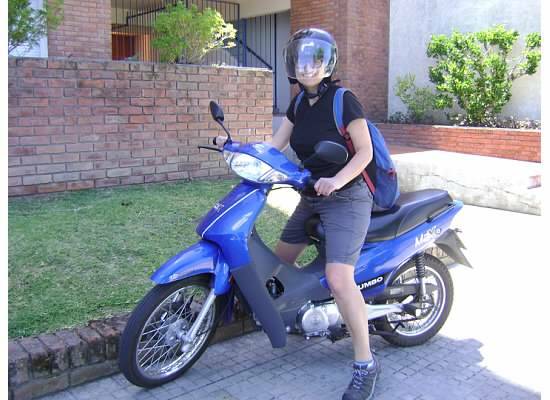 Before I left Colonia for my next stop, Laura took me for a ride on her moto. I was hesitant at first but Laura was adamant about taking me for a ride! I held on for my life and she told me the way I was holding onto her was for how a girl holds onto her boyfriend. I let my grip go a little but I still held on pretty tight! We sped down main streets, we took sharp turns through a park and we found ourselves traveling alongside the beach. Visions of the emergency room ran through my head. I had mentioned how I love visiting supermarkets in foreign countries. I could browse all day. I love seeing new brands and brands that we have that are renamed. It’s great fun. 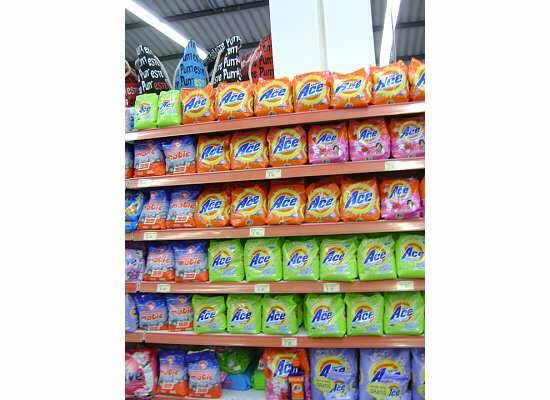 Clearly if you are looking for Tide, they won’t know what you are talking about since it is called Ace in Uruguay! Laura ensured I would visit a supermarket in Colonia before I left. The supermarket chain we visited was called Tata. I explained what tatas referred to in the States. That made Laura laugh. At least I was able to provide another important lesson on slang before I went on my way. Laura and her mom drove me to the bus station and ensured I found the right bus. We exchanged hugs like old friends and then I boarded. They waited until my bus pulled out and I waved from the bus one last time. I couldn’t believe it. I had known Laura and her mom all of 36 hours and I had tears in my eyes as I waved goodbye. Louie had it right. What a wonderful world.